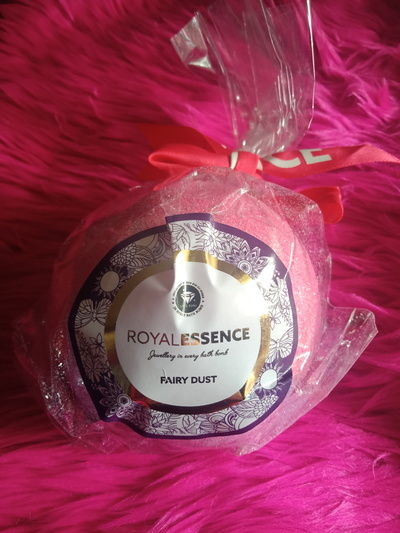 Royal Essence products come with a piece of sterling silver jewellery inside valued at a minimum $90 RRP- usually a ring. It's like a Kinder Surprise for adults. The fairy dust bath bomb turns the water a beautiful pink, with a little glitter and smells sweet and pleasant. These are not for every day, given the price, but they do make a lovely occasional treat.